Today marked a once in 16 year Solar Eclipse for New Zealand. I had taken my Nex and filters along to work, aiming to capture some form of it at about 10.20am. As my schedule would have it I had back to back meetings from 10am to midday, emerging out from the meeting room well too late and to be told by some others that it was great… oh well, I have plenty of time to book the next one into my diary! 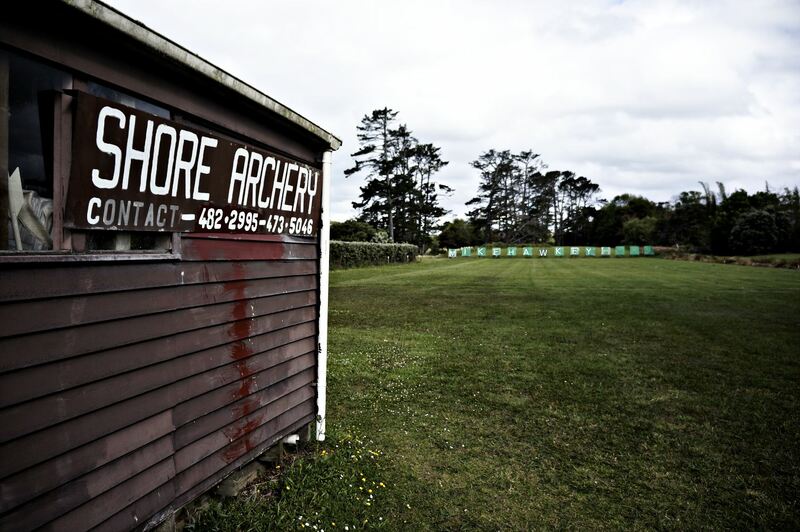 Taking a stroll after work I came upon the Shore Archery Club. The weather was starting to pack in, with clouds spitting their collections of water, so I took a few shots before making my way back to the car. Shooting both at zoom stepped back, and wide angle up close, I wanted to make the targets visible, but not to sharp. I settled on the wide angle version in the end. In post processing using Gimp I adjusted the contrast and then applied the national geographic filter. After that I removed some of the sharpening layers the filter applies, and finally added my name onto the targets – just to be a bit different than my usual sig style. I’m Still(!) trying to finish off the roll of B&W film in my Rollei 35. Its funny how even now, after predominantly shooting digital for an age, I don’t waste shots on film so much. Being a totally manual camera, including guessing the focus distance, one has a lot more time to think and decide if the shot is not quite right. I’m sure if it had been in my Ricoh GR1 I would be developing it by now. Still, that’s part of the film appeal to me. Film definitely makes you think a bit more.